Will you please provide the procedure to reach the page where I can get information regarding tenders of All India Institute of Medical Sciences ? 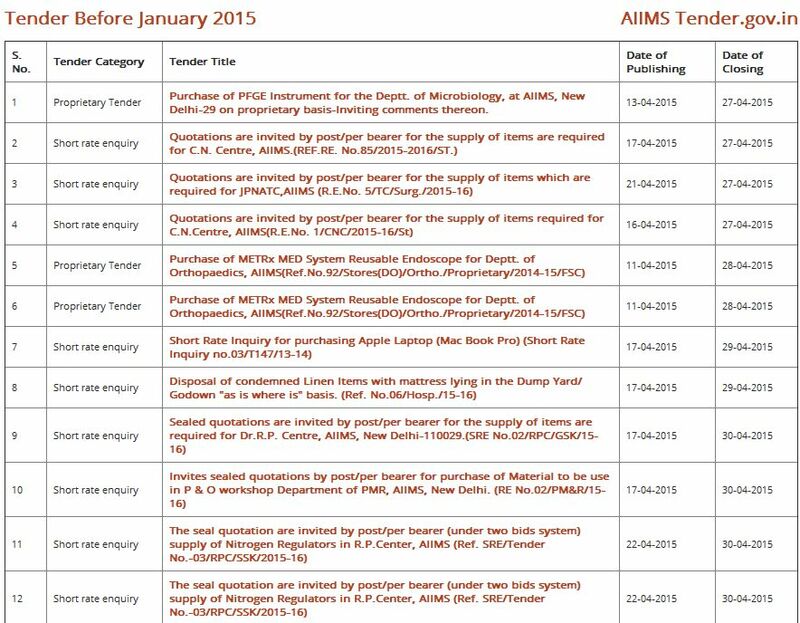 Here I am providing the process to reach the page where you can get information regarding tenders of All India Institute of Medical Sciences which you are looking for . Go to the official website of All India Institute of Medical Sciences . Click on tenders which is on the top of the page .